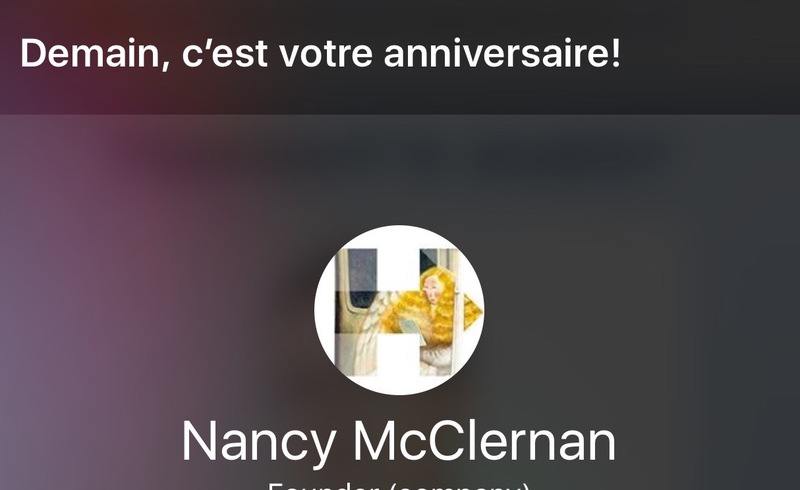 Aw, Siri remembered my birthday. C'est tres gentile. 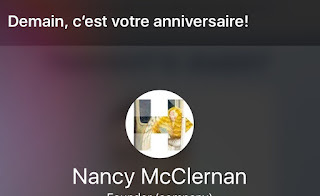 Although French Canadian Siri pronounces my name "Nancy Clearnon." Usually she refers to me as "Nanette" because I asked her to.